Ubi Hernandez, a Miami native and Label / Events Manager for Descend Records has been of the electronic music scene for 20+ years. Early days in the scene saw him grow up with the infectious sounds of breakbeats in Florida often taking in sets at local events headlined by breakbeat pioneers DJ Icey, Huda Hudia, Rabbit in the Moon, Jackyl & Hyde and many more. 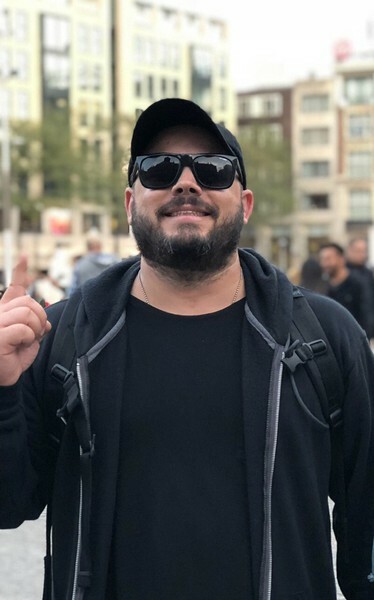 In 2014, his love for music and drive to build a brand of his own led him to join forces with Alex Sanchez (ALX) to launch the Miami-based techno label Descend Records. As label and events manager for Descend, Ubi focuses on pushing the envelope a little further with each release and event thrown whether it be locally or internationally. Descend releases are quickly becoming a frequently visited source for techno DJ powerhouses around the world - gaining massive support from Joris Voorn, Adam Beyer, Oscar L, D-Unity and more. Stay tuned for an active release and event schedule from Descend Records in 2019 as they take the brand to the next level.